Are you ready for the 2017 Christmas rush? The month before Christmas is the peak buying time for gift vouchers – they make ideal gifts for friends and family. After all, who wouldn’t like a treat they can enjoy at their leisure later in the year? But is your voucher sales page hidden away on your website, lurking in the background? Now’s the time to dust it down and push it to centre stage. So a win-win situation for issuers – and four solid reasons why you should make sure that your gift vouchers are firmly in your customers’ minds as the ideal gift to send this Christmas. At One Tree we see variations in voucher sales between businesses of a similar type and size. Certainly the product offering and business location affect sales, but there are common features that are shared by those companies that sell the most vouchers. Gift vouchers are generally not the first priority for an issuing business – naturally you are more focused on your primary service – selling rooms, tables, treatments, courses or experiences. As Christmas approaches, however, everyone on your client list is looking for presents to give. If they have had a positive experience with you, there is a good chance that they will share it with their like-minded friends. A gift voucher is the perfect way to do this. It’s easy to buy and a great gift for the person who has everything. If your gift voucher sales page is not easy to find, and the call to action is weak, however, sales will suffer. sending web visitors to the gift voucher sales page. Prospects browse websites for many different reasons, from early research to a pressing need to buy. Your current clients may be booking services for themselves. A subtle reminder on relevant pages that vouchers are available can bring loyal customers back later to buy a gift for friends or family. Capture interest in your gifts by mentioning them within text, adding links to the voucher sales page. 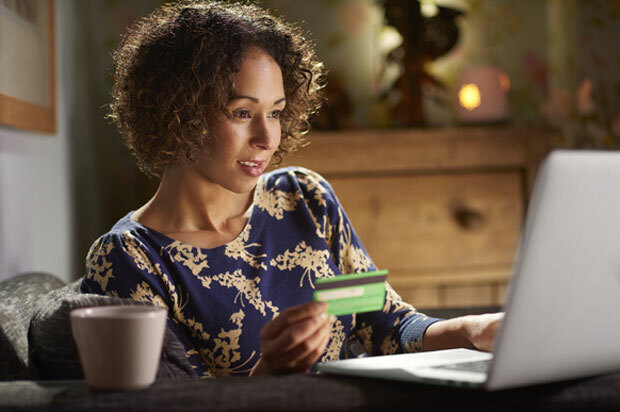 A fully automated, secure online shop and admin service to create and deliver vouchers is a must to increase sales. The One Tree Gift Voucher System deals with all the online sales, production and management, leaving you to concentrate on promotions. Of course, software can take away laborious processes and make sales more efficient, but humans are also involved. Make sure that all staff know how, where and what kind of vouchers are offered for sale and that they know how to use your system. Check that the gifts offered provide a reasonable range of prices and are displayed well. Read the text on your voucher page. Is it enticing, would it make you want to buy a gift voucher? Create a crib sheet for staff or organise in-house training. Make sure that your offering is up to date and web copy sells your vouchers. Some people buy early for Christmas and some leave it to the last minute, with purchasing peaking around the second week of December. 70% of gift vouchers are bought by women, but recipients are distributed equally between men and women, so this is worth bearing in mind when you create promotional campaigns. Email your customer list, set up some Facebook adverts, create an in-house display at your venue. Write a blog if you have a blog page. If your gift voucher offering is a new feature for your business, launch it as a new service. How do your gift vouchers solve a gift buying problem? Without getting too sophisticated, the most important thing to focus on is getting the message out there that you have gift vouchers for sale and they are easy to buy online. Ramp up and run online promotions and advertising throughout the month prior to Christmas. Don’t expect prospects to know that you have gift vouchers for sale – make sure you tell them. Making a few changes to your website can make all the difference to increasing sales. Want to take things a step further? Read our post on promotional ideas to boost Christmas sales. Louise Callan, Marketing Director, One Tree. If you would like to discuss any of the ideas here or would like to find out more about automating online gift voucher sales, please send an email or call on 01761 472911.